Last week I gave a maxi skirt my first try, and this weekend I wore another one! This one is more flowy than and has a 70s floral vibe to it. 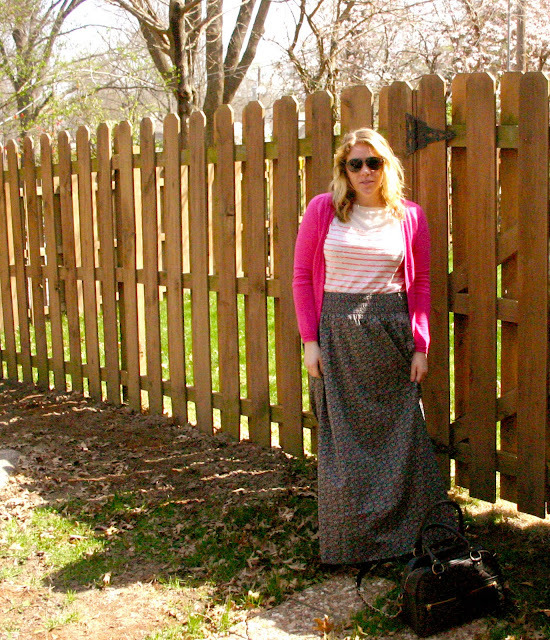 I can see myself really loving this maxi skirt thing - they are fun to wear. Are you where maxi skirts yet or plan to? I think the two I have are enough for now, but I will have fun trying to change them up this Spring season.